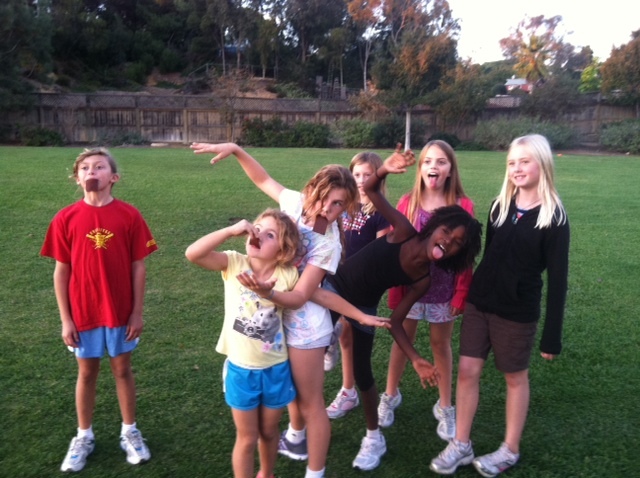 Girls on the Run Encinitas Getting Goofy! 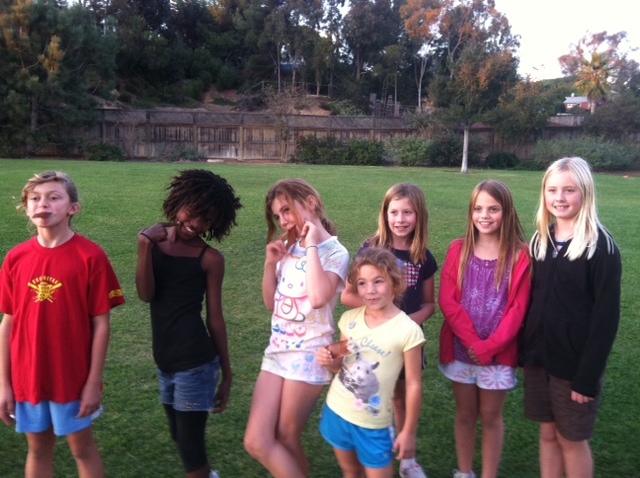 In September I began coaching the Encinitas chapter of Girls on the Run, an organization aimed at increasing the self-esteem and self-awareness of 8-10 year old girls as they train for a 5k (my first blog post on the program is here). We are now officially in the home stretch, with the 5K scheduled for just three weeks from yesterday, on December 11. Although our chapter is small, with only 7 girls, we are a energetic bunch. There are three girls that go to school together, two of which are self-professed best friends and the other is the younger sister of one of the attached-at-the-hip-duo. They share inside jokes and have an abundance of energy. The remaining four girls all attend different schools and are each awesome in their own way. Baraket, a tall and thin 8 year old high-achiever, always has her hand up to answer questions and is the first to volunteer to help put out the cones or clean up. She’s also the fastest of the bunch, running 3 miles instead of 2 during one practice (and gets bonus points for knowing what a triathlon is!). Miley and Ella are quiet, yet always helpful and well-behaved. Miley was excited to find out that we both went to the Taylor Swift concert (I do have something in common with 8 year olds!). 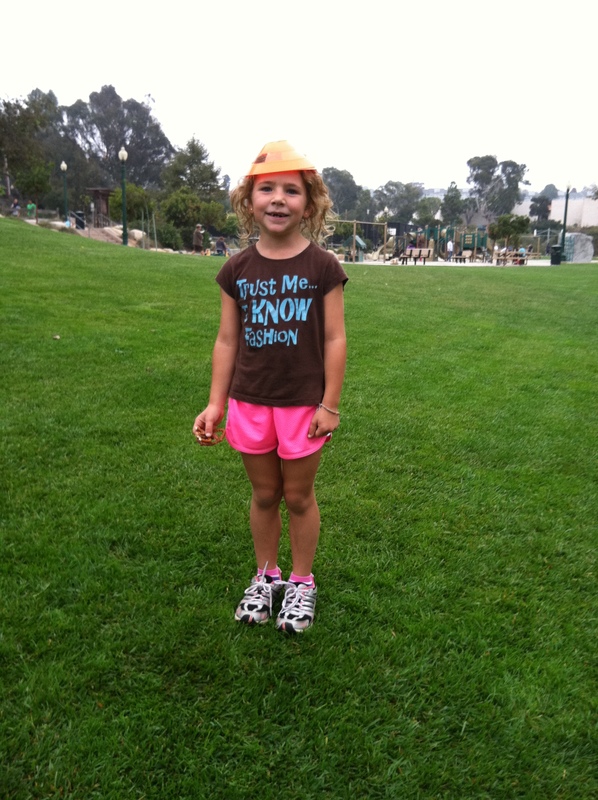 Sophia loves to participate in discussions but sometimes doesn’t want to run because she has soccer practice afterward. 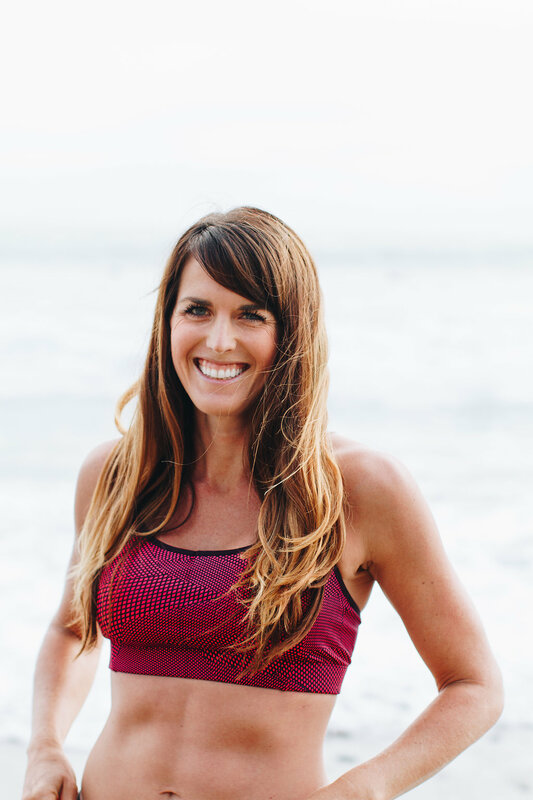 The workouts and lessons are divided into three sections: Learning to love and accept ourselves, learning to accept and respect others, and learning to give back to the community. Some of the lessons in the first section included the importance of keeping promises, taking care of your physical health, why expressing emotions is healthy, why it’s important to be thankful, and why we have values. The second section had lessons on teamwork, cooperation, listening skills, gossiping, being a good sport and standing up for yourself. The final portion of the program includes lessons on what a community is, why it’s important to give back, and finishes with a group community service project, designed by the girls themselves. Each practice includes an introduction, a warm-up and the main workout, all of which incorporate the lesson into the activity. As a child who hated to run myself, I am SO impressed with these girls as they keep up a good attitude and run each week. During most practices they run 1-1.5 miles and at least once they ran 2 miles. This doesn’t include the warm-up which typically includes some form of running or other physical activity. Next Tuesday will be running 3.1 miles as part of a practice 5k. Although the youngest of the bunch has a hard time keeping up with the rest of the girls, they work as a team to get in their miles. Since we meet in a small park, each of their laps is barely a tenth of a mile, but I think that this works well for their age group (our group is on the younger side with mostly 8 year olds) since they get the validation of receiving a lap marker so often (usually we use beads as lap counters but sometimes we use stickers or they have to cross of a letter of a phrase, etc). Each week I am so proud of their effort and enthusiasm. At the end of each practice we award one to three of the girls for their effort by giving them a “spirit award.” The girl being awarded stands in the middle of the circle and we do a cheer for her. I love this tradition as it builds self-esteem and also reiterates the message that good behavior and cooperation will be rewarded. I feel incredibly lucky to be part of this amazing organization. Not only have I enjoyed watching the girls learn, I’ve learned myself. Prior to joining, I didn’t have much experience with young children, and I wasn’t sure how I would handle it. I’ve learned that girls this age have a bundle of energy, they have VERY short attention spans (is that a cat!? look at that man playing karate! look at that boy playing with the remote control toy! ), and they still think that I’m pretty cool. During one of the earlier lessons I said something about sharing your toys and had to second guess myself whether or not 8-10 year olds pay with toys! With the digital age rapidly accelerating the transition from child to young adult, I really wasn’t certain what 8-1o year old even DO in their spare time. But getting to know these girls, I have been reassured that they do still play with toys, they still are fascinated by things such as a fish in the pond at the park, and they are eager to learn and make new friends. They also LOVE to eat – we have to restrain them from devouring the entire season’s worth of snacks each practice. I am very much looking forward to the 5k on December 11. I will be participating at a Runny Buddy and will be running side by side with one of the girls from my team as she runs her first running race. As a girl that could barely run the mile in junior high PE, I am amazed by these girls and I can’t wait to celebrate in their accomplishment. Such a sweet blog post! Im very excited to be a Running Buddy for your team on 12/11! 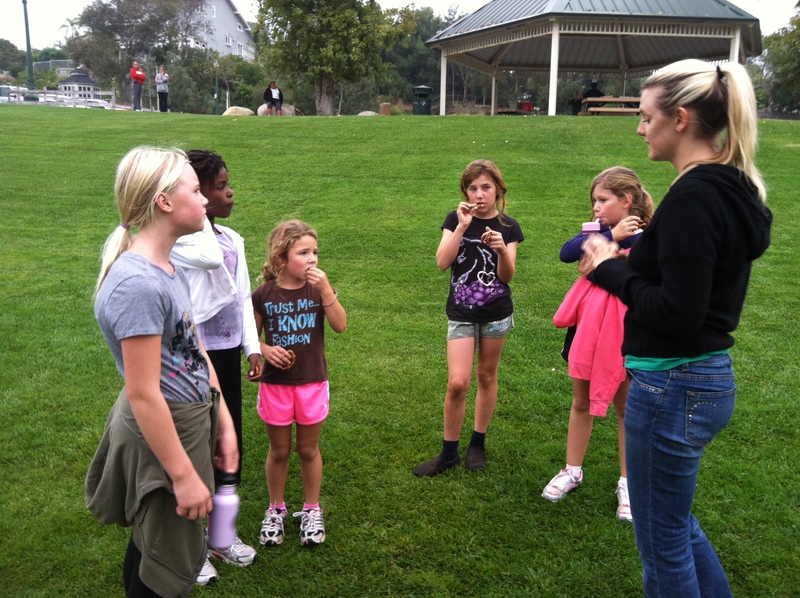 How can I get involved in Girls on the Run? ?